If you’ve been thinking about selling your house at some point in the near future, you’ll want to start getting ready as soon as possible. For many homeowners, this includes grabbing a set of tools from the shed and getting your hands dirty. For others, it just means calling a tradesperson. Selling a home in Australia’s competitive real estate market can be facilitated by having a fully functional, aesthetically attractive home. Simply offering the lowest price on the block is not enough to make a lasting impression. When potential buyers are viewing several homes in your neighbourhood, you’ll want yours to be the one that stands out for the right reasons. With the solid advice of a local real estate agent, you can make your house as close to turnkey standards as possible. A turnkey home is a house where a buyer can move right in without the need for any initial repairs. Many buyers don’t want to put more money and effort into a project after having already gone through the lengthy process of purchasing a home. By improving property value, you’ll not only get a greater return on investment but you’ll attract a larger pool of buyers. So, wondering how to increase the value of your house? Here are ten simple ways that you can approach turnkey status and improve your property’s value before putting it on the market. The first thing that a potential buyer will see is the exterior of your home, so it’s worth making sure that your home looks its best outside and in. Properties that appear dilapidated, old, or ugly just won’t make the cut. 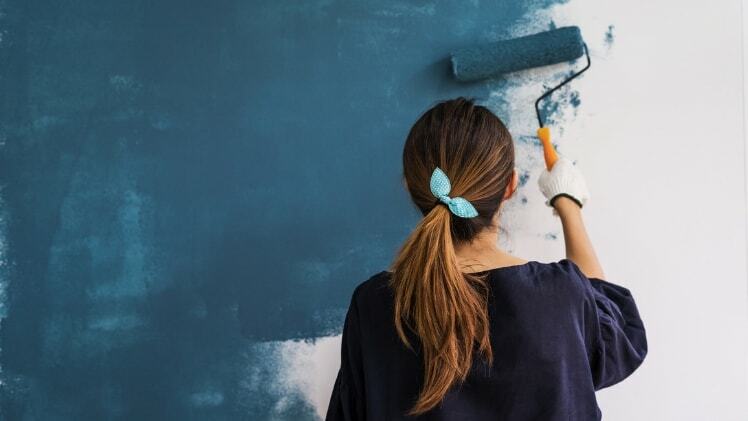 There’s nothing like a fresh coat of paint to make your home look fresh, modern and more universally appealing, but you may wish to shy away from overly bold shades such as lime green, or you’ll make your house stand out for all the wrong reasons. It’s a good idea to consult with your real estate agent or a designer before you get started. There are also virtual painting programs online that can give you a preview. In addition to giving your home a paint job, you should also examine the exterior for visible signs of damage. Walls made of weatherboard may have panels that need replacing. Brick homes may need to have small gaps filled in with fresh mortar and rendered walls can do with fresh concrete to fill in gaps. These small improvements will make a property look like new without the need for major renovation. Aside from looking stylish, new doors or windows make your home more energy efficient and can lead to more affordable household running costs and a more environmentally-conscious property, which many buyers are attracted to. Buyers love an attractively landscaped yard and it doesn’t take too much money to fix yours up if you have the space for it. A household’s yard is considered to be a good indicator of the total amount of effort given to the property: dead plants, messy gardens, or boring yards can be a fast turn-off. Investing in new soil, rocks, shrubs, ground cover, trees, and mulch can help transform your yard; making it appear fresh and inviting. An appealing yard will help sell the property because it invites buyers to picture themselves spending time outside during the pleasant seasons of the year. 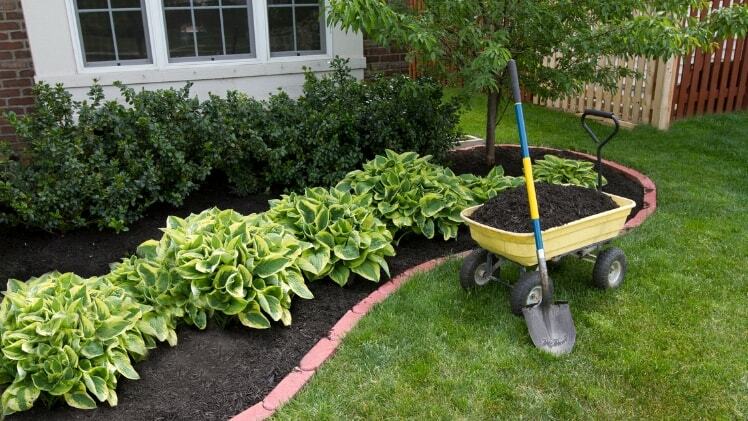 This can be done on your own if you have a green thumb, or you could enlist the services of a professional landscaper. Be sure to focus on yard lighting as well, because some buyers will only have the time to drive around after dark. Night lighting can create a modern, chic look for your garden. It may seem strange, but the floor is one of the first things that buyers look at upon entering a property. People expect their homes’ floors to be contemporary, clean, and stylish. Old, musty carpeting will definitely not do your home any favours. Although hardwood floors are perennially popular and easy to care for, a high quality carpet can also be quite attractive and create a warm atmosphere. Be sure to fix any flaws in your flooring and be prepared to replace carpets if they are ancient. The kitchen is one of the most important communal areas of any home. Buyers want a functional workspace that includes good taps, cupboards, and bench-tops. It’s a common mistake for sellers to overdo kitchen upgrades with fancy granite or marble bench-tops and all-new stainless steel appliances. Although this looks sleek and modern, some buyers will be turned off by these types of upgrades because they will automatically assume that the house is more expensive as a result of them. In any case, be sure that all appliances are in working condition and that the kitchen looks tidy and attractive. As with kitchen upgrades, it’s possible to go crazy renovating a bathroom space with all-new showers, toilets, tubs, and cabinetry. This may not be necessary to add value to your home, provided that your bathroom is in proper working order and fresh in appearance. A good bathroom space will be both functional and aesthetically appealing. Small repairs like painting the walls and replacing tile grout can work wonders. Clean out your exhaust fan and repair chips in the bathtub or sink to make fixtures look like new. It’s also worthwhile in some cases to replace old light fixtures with more user-friendly or energy efficient models. The cost of lighting fixtures can vary greatly, but if you have old-fashioned hanging lights with paper lampshades, it’s probably time for an upgrade. Lighting is really important when selling your home, as no buyer is going to want to live in a dark space. Down-lights look good in most environments and lighting can be used to play up other pieces of decor in the home. Energy efficient lighting can also boost a property’s appeal. There are certain trends that come and go in interior design. You may have noticed that many new model homes come with coloured, ‘feature’ walls rather than blank, white ones. Buyers can interpret a white-walled home as being boring and devoid of character, while the right colours can be exciting. However, it’s important to take care with your paint choices, as something too outlandish may hinder the potential buyers’ ability to see themselves in your property. If you’re using colour, be sure that all the colours blend well together and match other design aspects of your home. Accent walls and textured brush techniques can add visual interest to your property, but consult with an interior designer if you are unsure. The structure of your home may not be as apparent to buyers at first glance as many of these other factors, but a poor inspection report due to flaws in your roof or foundations could break your sale at the last moment and cost you much more. It’s important to have a professional come in to inspect your home ahead of time, so that you can repair any structural flaws. Buyers will want to be satisfied that their new home is safe and built to last. A heavy, thorough cleaning can work wonders on any property. This part of the process will be cheap, but it will take some considerable time and physical effort to do right. Focus on cleaning all the places of the property that you can see, as well as all those hidden corners that you can’t see. Get behind the stove and refrigerator and move furniture to clean what lies underneath. A clean, tidy home with everything in working repair will help you get the best possible selling price. If you’re going to hold inspections whilst still living in the property, be sure to organise all clutter. Remove all your personal belongings, such as family photos, that will hinder the buyer’s ability to put themselves in the house. Get storage boxes and consider getting short-term off-site storage for all your items that don’t fit neatly into cupboards. Remember buyers will be opening everything and looking everywhere, and neatness (however obsessive) suggests a house that is in good order. Although this list may seem overwhelming, if you attack one task at a time and enlist the help of professionals (if needed), you’ll soon achieve your sales goal. Rather than falling into non-action, it’s better to focus on tasks that don’t require too much fiscal investment or energy at first. By the end of your efforts, you’ll be confident that you’ve done everything in your power to boost your home’s value and attract buyers. It’s also helpful to seek out the expert opinion of an estate agent before you start tackling unnecessary tasks. A good real estate agent will know what increases the value of a house, and exactly which of these tasks should be prioritised, taking your local market competition into consideration. You can increase property value by working with a qualified real estate agent in your area. LocalAgentFinder makes comparing agents easy, and is free to use. Click here to compare real estate agents in your local area. Previous readingShould I Renovate Before Selling?